A billion years into the future, Earths oceans have evaporated, and humanity has all but vanished. The inhabitants of the City of Diaspar believe theirs is the last city, but there is no way to find out for sure. The city is completely closed off by a high wall, and nobody has left in millions of years.The last child born in the city in millions of years, Alvin is insatiably curious about the outside world. 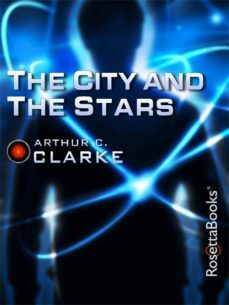 He embarks on a quest that leads him to discover the truth about the city and humanitys history—as well as its future.The City and the Stars is a rewrite of Clarkes first novel, Against the Fall of Night. While the author assumed that the old version would be replaced by the new version and eventually go out of print, he was surprised to find that the older version was popular enough to stay in wide circulation. Today, both stories are equally popular.Any fan of Clarkes would find this book a fascinating read, not just for the intriguing story and Clarkes singular futuristic vision, but also for the purpose of comparing his approach to the same story at different points in his writing career. While The City and the Stars shares the general plot of Against the Fall of Night, many details are different—making an interesting study of Clarkes progression as a writer.